Game developer and publisher Epic is taking 'Fortnite' cheating very seriously. After banning thousands of accounts, the company has now filed lawsuits against two prolific cheaters of the popular Battle Royale game. "Nobody likes a cheater. And nobody likes playing with cheaters," Epic notes. Founded in 1991, Epic has developed and published computer games for over a quarter century. The North Carolina company is known for titles such as Unreal, Gears of War, Infinity Blade, and most recently, the popular co-op survival and building action game Fortnite. 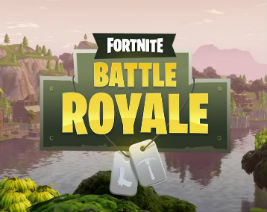 A few weeks ago, Fortnite released the free-to-play “Battle Royale” game mode for the PC and other platforms, generating massive interest from gamers. Unfortunately, this also included thousands of cheaters, many whom have been banned since. Last week, Epic stressed that addressing Fortnite cheaters is the company’s highest priority, hinting that they wouldn’t stop at banning users. “We are constantly working against both the cheaters themselves and the cheat providers. And it’s ongoing, we’re exploring every measure to ensure these cheaters are removed and stay removed from Fortnite Battle Royale and the Epic ecosystem,” the company wrote. It turns out that this wasn’t an idle threat. TorrentFreak has obtained two complaints that were filed in a North Carolina federal court this week, which show that Epic is launching a legal battle against two prolific cheaters. The two alleged cheaters are identified as Mr. Broom and Mr. Vraspir. Both are accused of violating Fortnite’s terms of service and EULA by cheating. This involves modifying and changing the game’s code, committing copyright infringement in the process. “The software that Defendant uses to cheat infringes Epic’s copyrights in the game and breaches the terms of the agreements to which Defendant agreed in order to have access to the game,” the company notes. The two complaints are largely the same and both defendants are accused of ruining the fun for others. “Nobody likes a cheater. And nobody likes playing with cheaters. These axioms are particularly true in this case. Defendant uses cheats in a deliberate attempt to destroy the integrity of, and otherwise wreak havoc in, the Fortnite game. “As Defendant intends, this often ruins the game for the other players, and for the many people who watch ‘streamers’,” the complaint adds. Both defendants are connected to the cheat provider AddictedCheats.net, either as moderators or support personnel. They specifically target streamers and boast about their accomplishments, making comments such as ‘LOL I f*cked them’ after killing them. According to Epic’s complaint, Vraspir was banned at least nine times but registered new accounts to continue his cheating. He also stands accused of having written code for the cheats. Broom was banned once and previously stated that he’s also working on his own cheat. He publicly stated that he aims to create “unwanted chaos and disorder” in Fortnite and said the game was the highest priority of the cheat provider. With the two lawsuits, the game publisher hopes to put an end to the cheating. Both defendants face up to $150,000 in statutory damages for copyright infringement. The complaint further lists breach of contract and circumvention of technological measures as additional claims. While taking out two cheaters is just a drop in the ocean, Epic is sending a stark warning to people who don’t play by the rules. Here are copies of the full complaints against Vraspir and Broom.